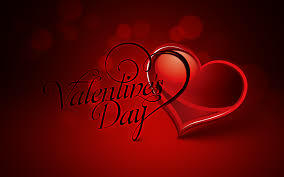 Today is Valentine’s day! Friday February 14th. It is the day we show our love for one and other. Share cards chocolate, anything to so someone how much you care about them even something as simple as a hug, or a flying kiss. Valentine was a person, and and after doing something to do with love like healing the daughter of his jailer and then writing a letter to her signed at the end “your Valentine” Valentine’s day was celebrated. So show your love and do something loving today to so someone how much you love them. Many animals of this time are kept in zoos, because people want to learn more about them, and they want to do many scientific experiments on them, but we can’t just think about how we feel. Their feelings count too. How do you think the animals feel being trapped in cages,not being able to rome around? Put your self in a zoo animals shoe. Imagine being trapped by an army of hunters,and thrown into a tight ugly cage,away from your family,and your natural habitat,until you die,and until your species become extinct. It does not sound to good does it? In this essay i will be explaining the disadvantages of zoos,and how they change the mood of animals. 1. Keeping animals in zoo cages takes away their freedom,to rome,and spend time with others of their same kind. When we take away animals to the zoo,we only take some,and not the whole pack,so the animal is taken away from its family,and it will be stuck alone for the rest of its life. 2. Animals that are born in zoos don’t learn to hunt like their species in the wild.They are given food by the zoo keepers. They get no physical activities,except walking around their cage,a couple of time,but they mostly sleep. Where as in the wild, the animal would be hunting,and running around, and they would have a bigger space to enjoy life. 3. The animals kept in zoos are mainly unhappy compared to wild animals. The animals are alone and has no one to engage them. In the wild there are many animals of the same species,so most of the animals are happy. 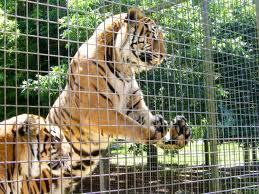 In conclusion these lovely wild animals don’t deserve to be trapped up in these zoo cages, like they are in prison. They deserve to be free, and rome earth, and live in their natural habitat. Be Strong in the Heart, and Follow it! Don’t be sad all your life because you don’t have those big strong muscles like a superhero. 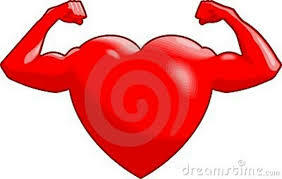 Be strong in the heart. That’s where it really counts. A strong heart gives kindness, and love, friendship, and joy. Not to mention a healthy life. Follow your heart, because it will lead you to destiny. To the place of your dreams. Everyone will love you for who you are. Inside and out. your heart shows the way, and tells the difference between right and wrong. Make the right choice in life, and remember to have fun! Fun is not always sitting on your couch playing video games, but is also going for a walk, reading a book ,or something else. 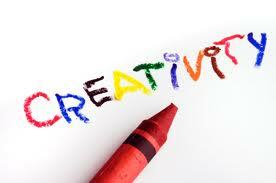 You should be creative in your life time, because being creative turns you ideas better, and gives you more knowledge. When you go to school, you learn so many things, and latter all these things contribute to being creative. Being creative means that you imagination comes to life. while being creative you can do anything you like. If your imagination is telling you to make a new planet, then make one. Nothing is impossible. Our creative ideas move us ahead, and we accomplish so many things. Think of something that captures your imagination, and then keep it, and make it yours. When we came to earth,god sent with the same amount of creativity, deep within us. Now it is time to find it all, and show the world your talent! !